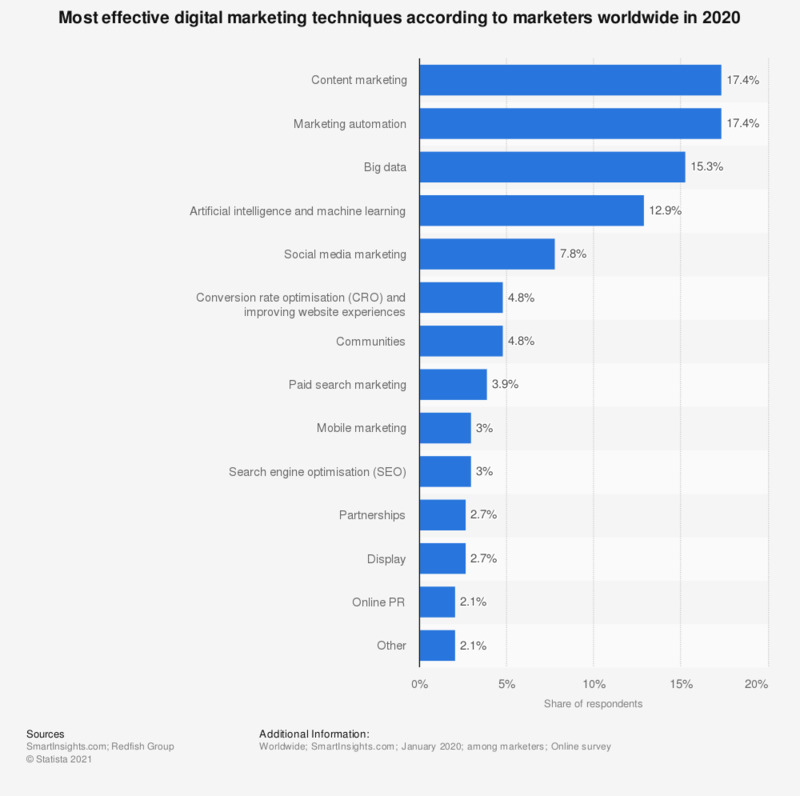 This statistic shows a prediction regarding the most effective marketing techniques of 2018, according to marketers worldwide. The survey results show, that 20 percent of marketers projected that content marketing would be the marketing activity to have the largest commercial impact on their business in 2018. Question: Select the single marketing activity that you think will make the largest commercial impact in 2018 for your business (or your clients). The source does not provide a survey date. The date provided is the release date.